Join us to Celebrate Preservation Month in May! 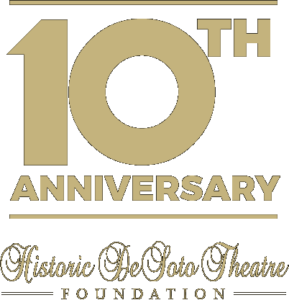 The DeSoto Theatre turns 90 this year! 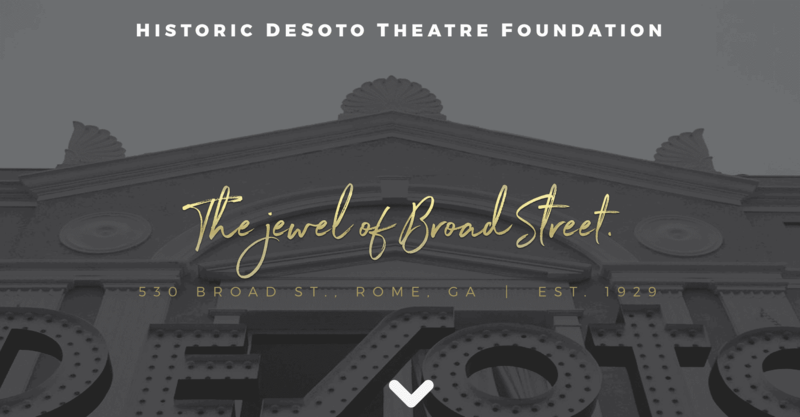 As part of our celebration, we're proud to partner with Rome's Historic Preservation Commission and the Downtown Development Authority to host this day-long Symposium. 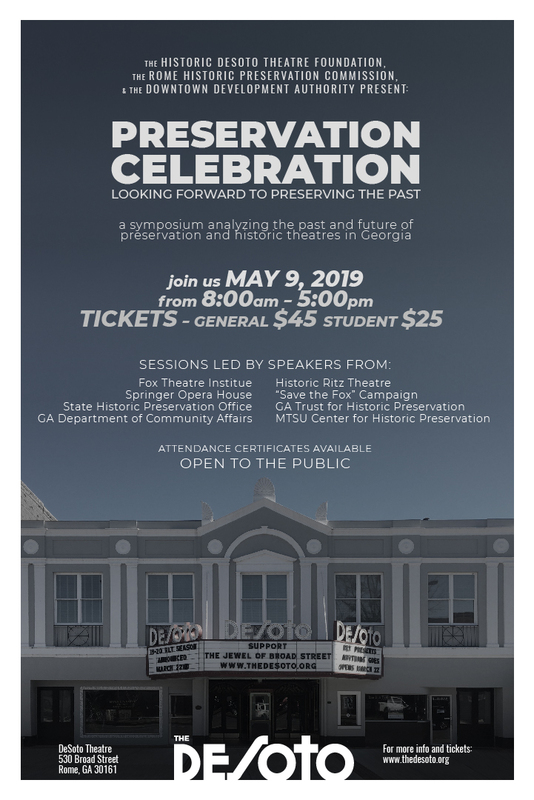 Speakers from throughout Georgia will be in Rome to help celebrate the past and future of preservation and of historic theatres. The Rome community and the HPC and DDA members needing training, are invited and encouraged to attend to learn about different preservation initiatives and success stories throughout the state. One of the driving forces behind Atlanta's "Save the Fox" campaign, Bettijo Cook Trawick, in her 90's, and her son, Rodney Mims Cook, will share their experiences with the audience. The mother-son duo was featured on the GPB documentary "The Fox: The Legend Lives On." Among the day's speakers are Rome natives Paul Pierce, from the Springer Opera House in Columbus, and Dr. Lydia Simpson, with the Center for Historic Preservation at Middle Tennessee State University. Rome architect Mark Cochran of Cevian Design Lab will moderate the event. Please check event schedule for all additional speakers. 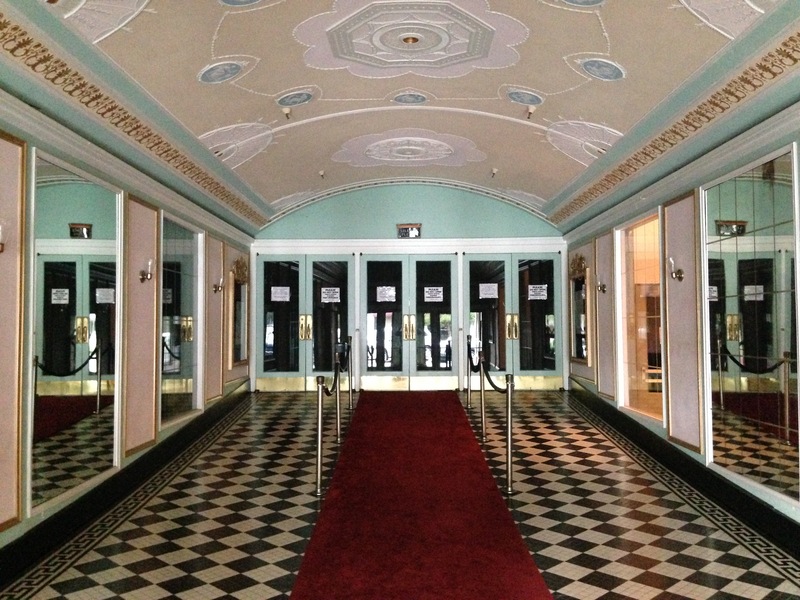 In early 1928, O. C. Lam, owner of Lam Amusement Company, laid plans to construct a new movie theater in Rome, Georgia, modeled after New York’s Roxy. 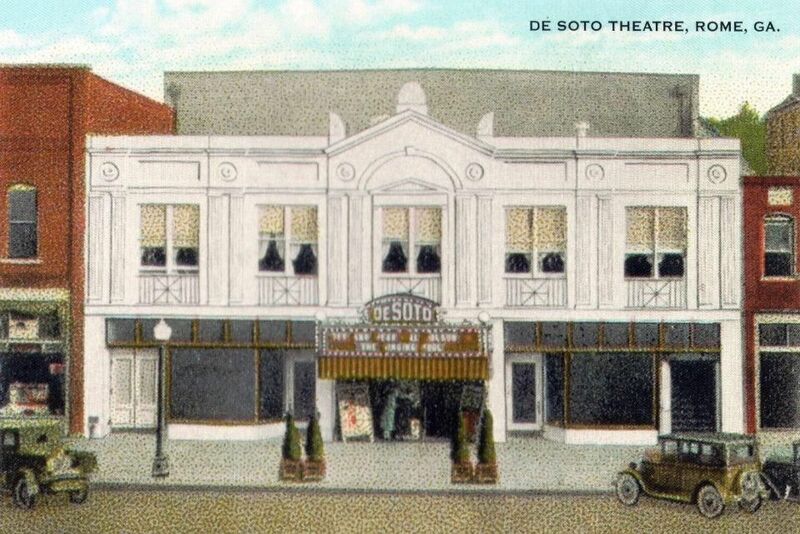 It was the first venue in the South designed and built as a “talkie” for sound films. 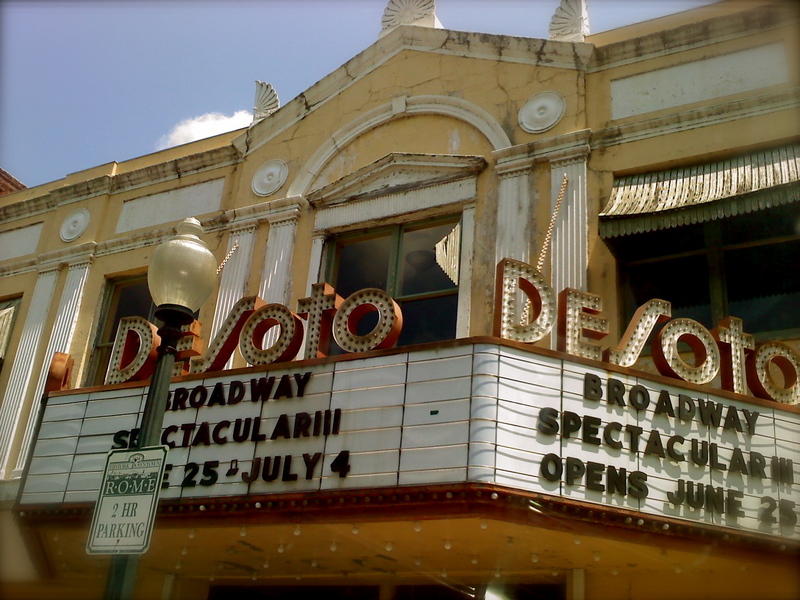 When the DeSoto opened in August 1929, it was one of the seven largest movie venues in Georgia. It was an instant success and the pride of Rome. 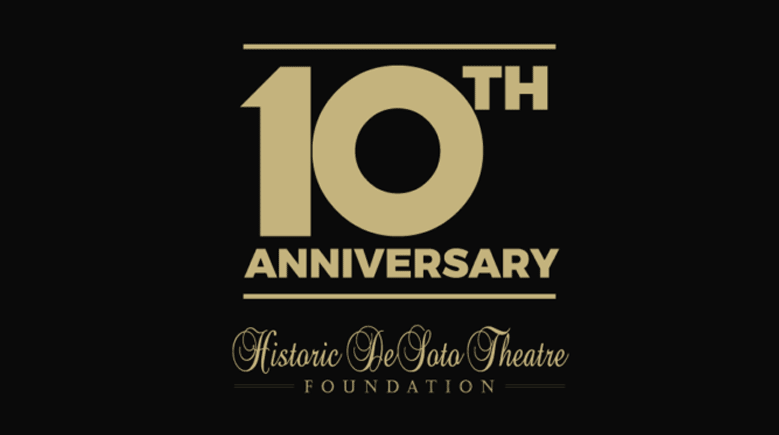 The Historic DeSoto Theatre Foundation maintains and preserves this legacy for future generations. 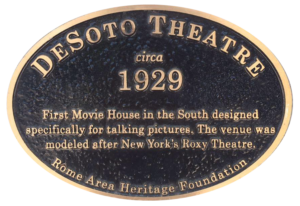 The Historic DeSoto Theatre Foundation is a non-profit organization established in 2008 to secure the future of the iconic 1929 theatre in downtown Rome. 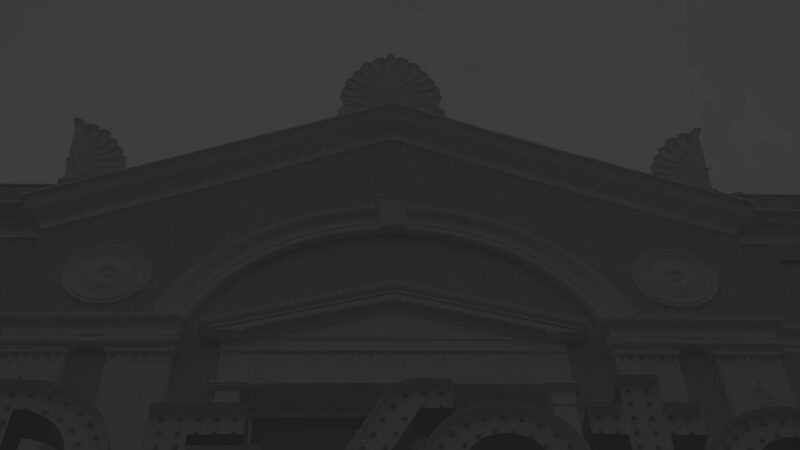 We are committed to preserving the tradition and legacy that is the Jewel of Broad Street. It is our mission to usher in the movie house that introduced us to “talkies” into the age of “selfies” and social media. 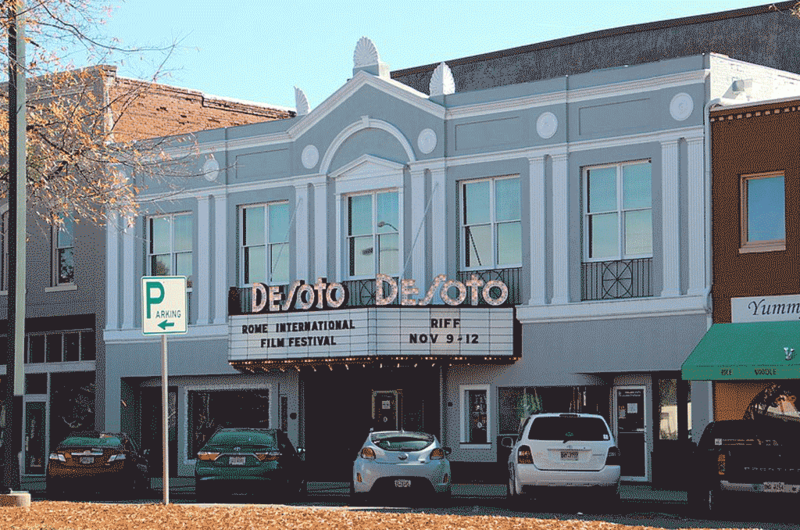 In 2019, DeSoto Theatre celebrates 90 years of downtown entertainment, the only theatre left in Downtown Rome’s once-thriving arts district. Our Foundation is maintained by our fundraising events and the generous donations of our supporters. We could not do this without you. Thank you! 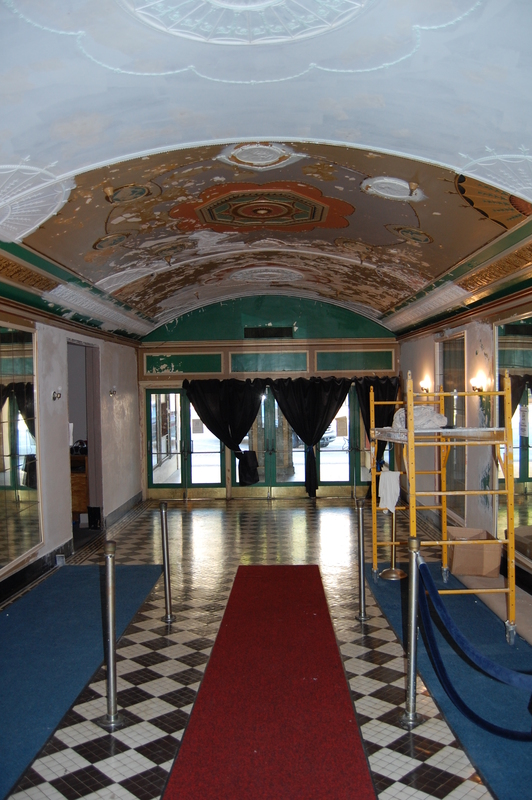 Mr. and Mrs. Mike Barron, Sr.
Help us Keep the Jewel of Broad Street Shining Bright. Please donate to our Annual Fund. 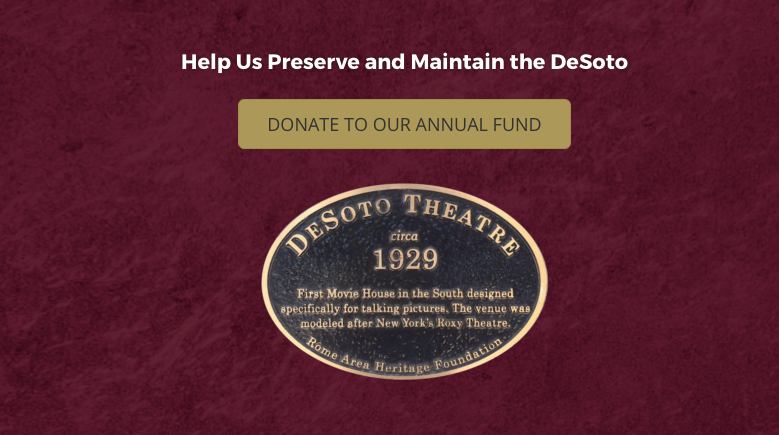 Your donations not only help us to complete the restoration of this cherished landmark, but will transform the DeSoto once again into a modern performance venue able to attract world-class acts to Rome. To donate, you will be asked for your email and to set up a password. THANK YOU!